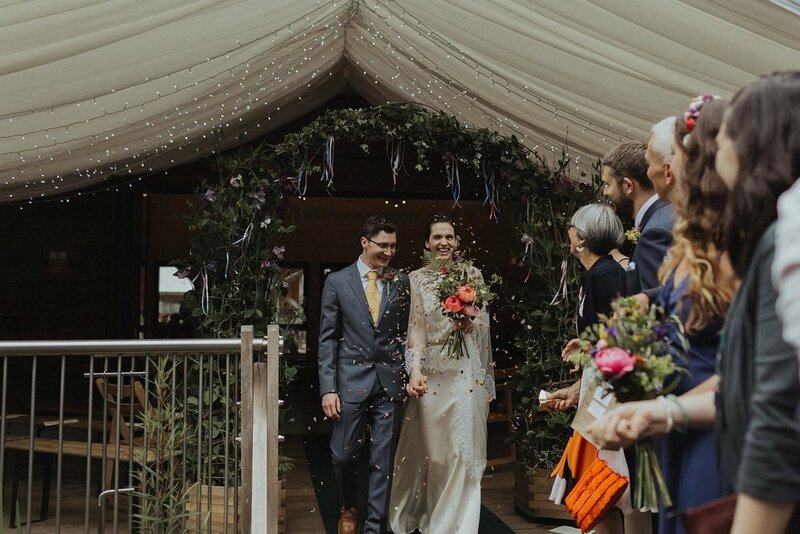 Rowanne decided on Clematis for her wedding, but wasn’t keen on the skirt being as full as the original version, so I made hers with a more A-line skirt instead. 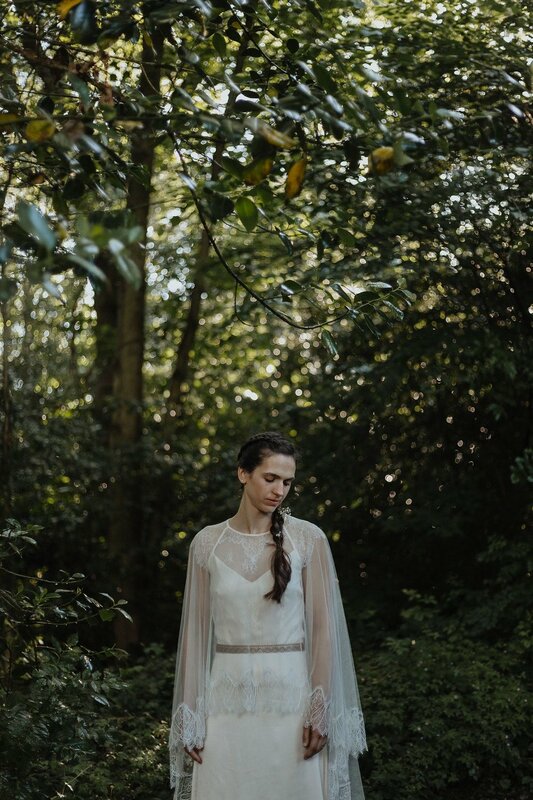 She also fell for the lace trimmed cape – which I adore worn over Clematis – and added a metallic lace belt too. 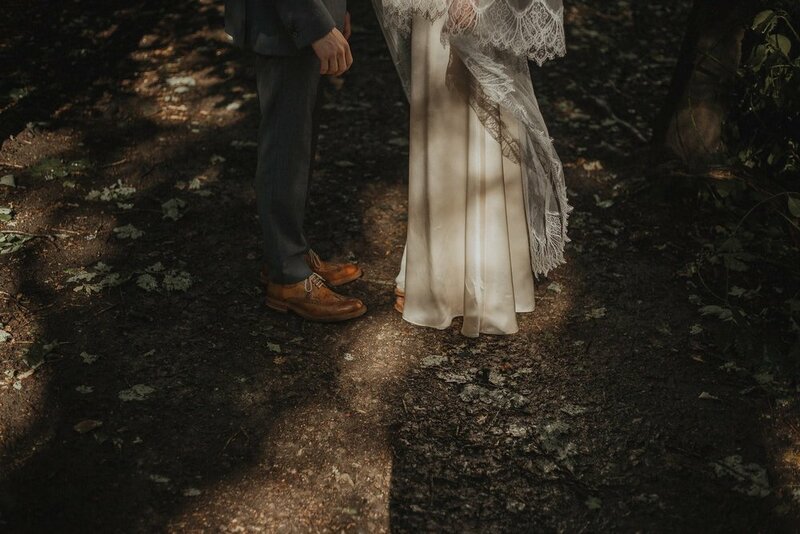 Rowanne and Dan were married in Sheffield’s glorious Ecclesall Woods. 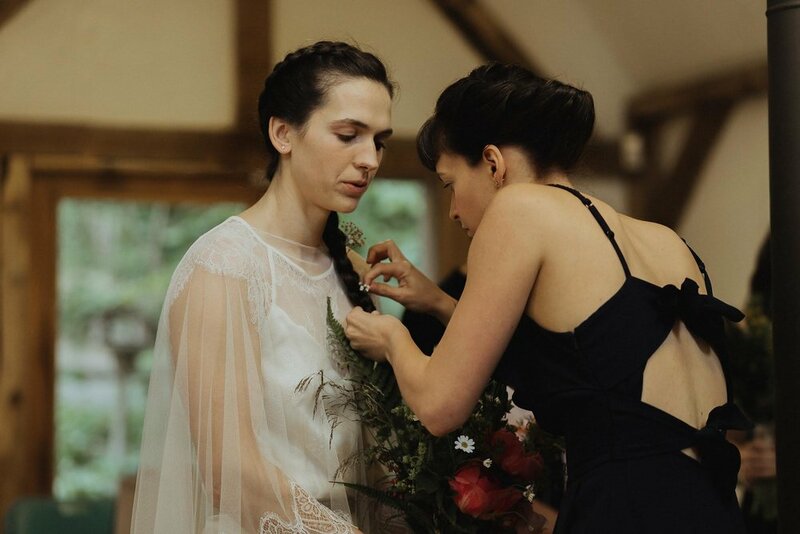 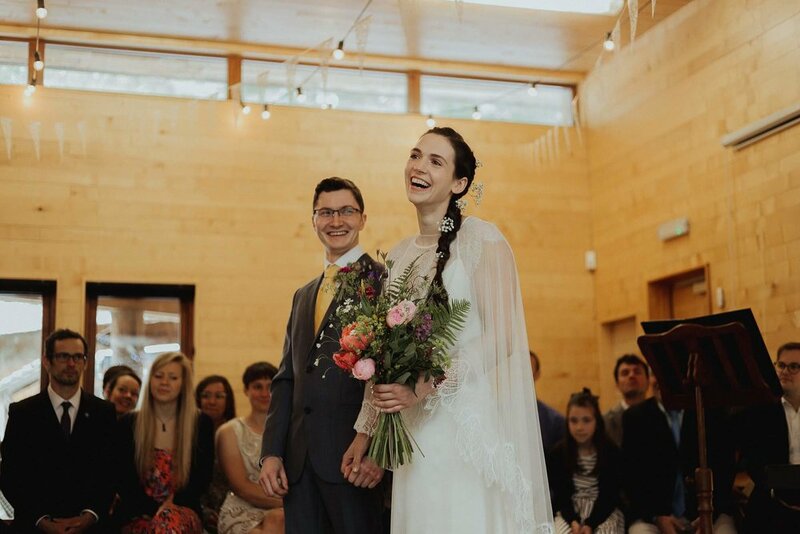 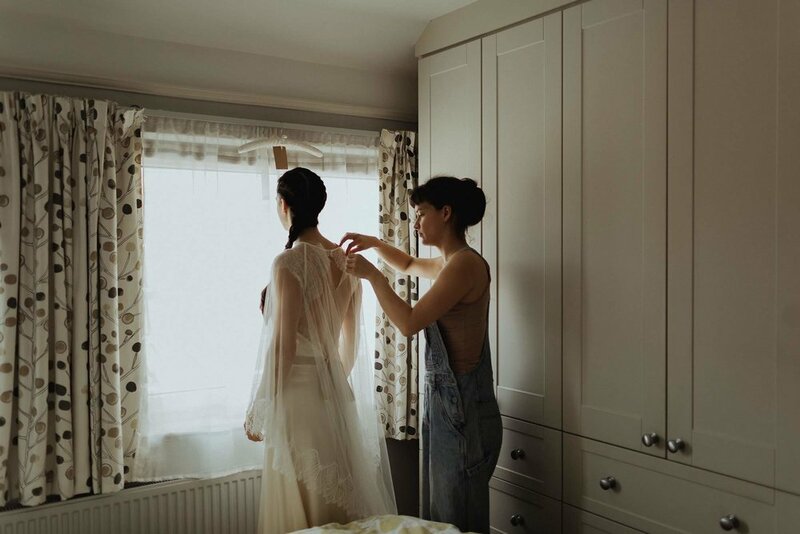 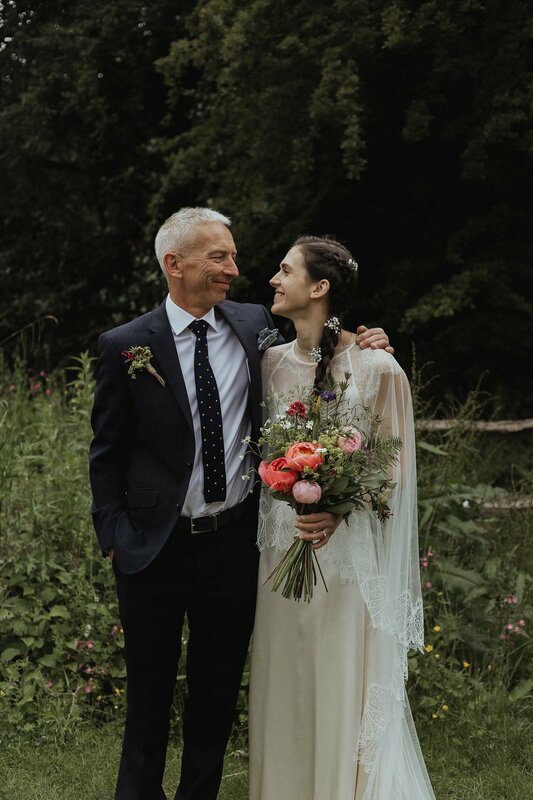 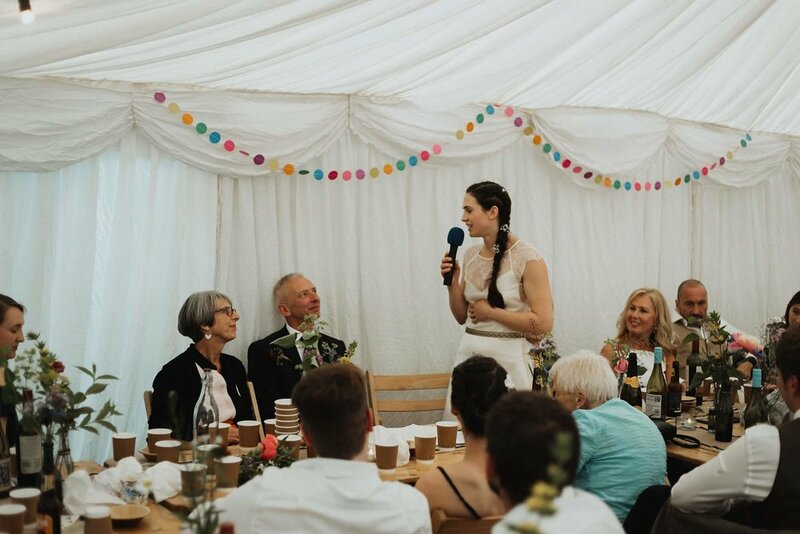 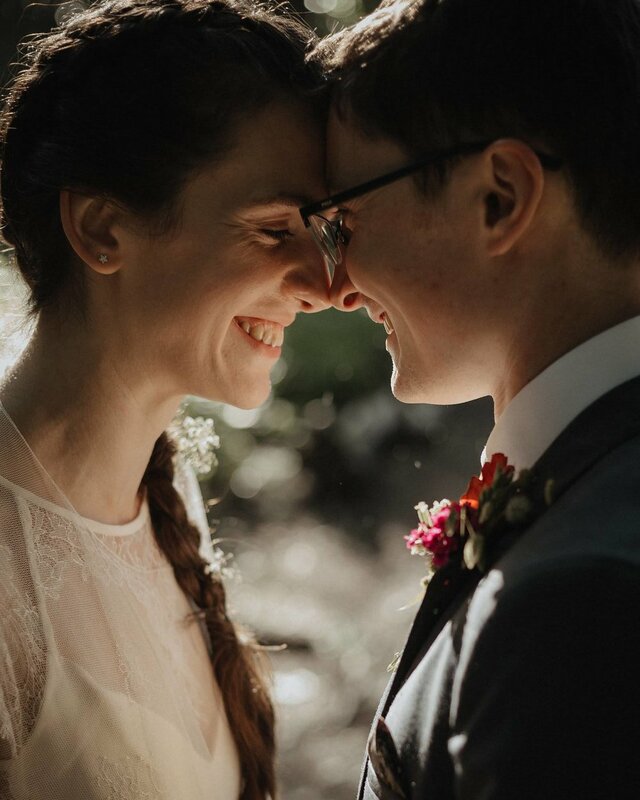 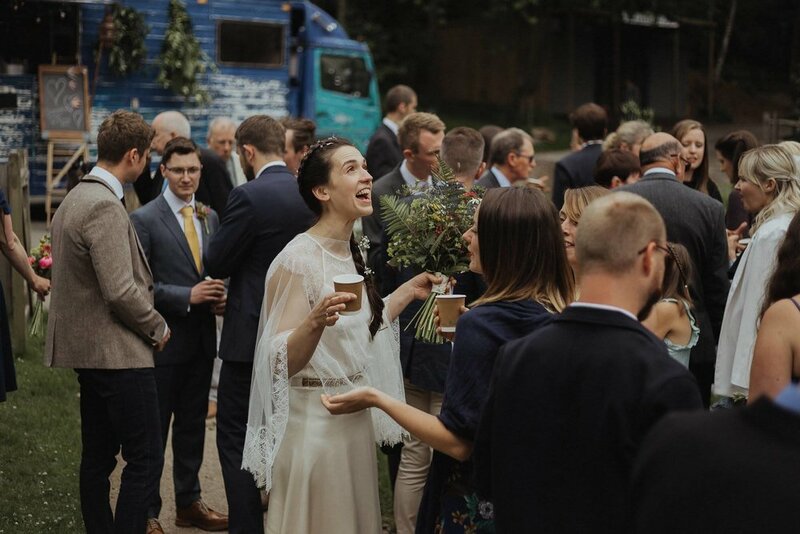 Their ceremony took place in one of the beautiful wooden Discovery Centre rooms which overlook the woodland and ponds, and celebrations continued in a marquee.